Four of Hahndorf Hill's Austrian varietal wines were awarded Gold medals at the Berliner Wein Trophy 2019 in Germany. "Receiving these awards for our Gruner Veltliner and Blaufrankisch wines at a German wine show is exciting confirmation that our wine region is able to produce wines from these varieties that compare favourably with their top European counterparts," said Larry Jacobs. Hahndorf Hill Blueblood Blaufrankisch 2017. There was great excitement at Hahndorf Hill when the call came through that the 2018 White Mischief Gruner Veltliner had been awarded a trophy at the Australian National Wine Show in Canberra. "It's great to see Gruner sticking its head out in general white wine show categories," said co-owner Larry Jacobs. This trophy follows two earlier awards for this wine - TOP 100 & Blue Gold Medal at the Sydney International Wine Competition 2019, and Gold Medal at the Australian Alternative Varieties Wine Show 2018. Hahndorf Hill Reserve Gruner Veltliner 2016 - Silver Medal. 'It's very good to see the alternative varieties also getting noticed', says Larry Jacobs. Gourmet Traveller Wine has awarded the Hahndorf Hill cellar door as one of Australia's Best Cellar Doors for 2018. The award was given for the 'Best Tasting Experience' in the Adelaide Hills. Cellar door manager Dee Wright was over the moon with the news. "It's both rewarding and humbling, and I'm very grateful that we have such wonderful people in our team at the cellar door who all contributed to this success", said Dee. Our range of tasting experiences include our cool-climate classic wines, our unusual range of Austrian grape varieties, a wine flight + cheese plate offering and our ChocoVino experience, where our wines are matched to local and imported chocolate. It was a particularly exciting moment at Hahndorf Hill when four of our wines - all with a Germanic connection - were each awarded Gold Medals at the Berliner Wein Trophy 2018 in Germany. The wines were the Hahndorf Hill Gru Gruner Veltliner 2017, the White Mischief Gruner Veltliner 2017, the Reserve Gruner Veltliner 2016 (due for release soon) and the Rosé 2017 which is an enticing blend that includes the exotic Germanic red grape Trollinger. 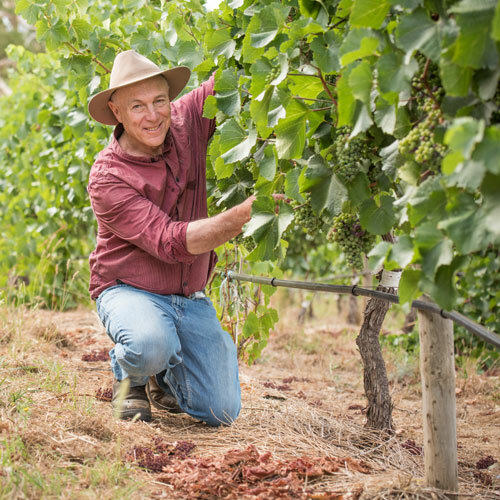 'This outcome reinforces our confidence that the Adelaide Hills wine region is proving to be the perfect second home for these exciting Austrian varieties,' says co-owner Marc Dobson. 2017 was another interesting and exciting year at Hahndorf Hill. As a primary producer, one is always at the mercy of the weather-gods' humour - and although this year was not without its usual challenges, the vintage ended up being extremely memorable for its long and slow ripening period. This has translated into white wines with intense and abundant aromatics, and reds that are plush and smooth. The year ended well, with our Pinot Grigio 2017 being awarded a Gold Medal and Trophy at the Australian Cool Climate Wine Show 2017, plus a Gold Medal at the Adelaide Hills Wine Show 2017. All the Gruners have also been putting up runs on the scoreboard. The GRU Gruner Veltliner 2017 (due for release March 2018) and the Green Angel Late Harvest Gruner Veltliner 2016 both received Gold Medals at the Australian Alternative Varieties Wine Show 2017, whilst the White Mischief Gruner Veltliner 2017 scooped two Gold Medals - at the Australian Small Winemakers Show 2017 and the Rutherglen Wine Show 2017. The Hahndorf Hill Shiraz was awarded a Blue-Gold Medal at the Sydney International Wine Competition 2018. Finally, Larry was honoured and humbled by being the inaugural recipient of the Adelaide Hills Wine Show 2017 'Committee's Award of Recognition' Trophy. The latest Halliday Wine Companion 2018 has hit the bookshelves and Hahndorf Hill has been rated the number one producer in two separate categories in this industry bible. In the section 'Best of the best by variety' Hahndorf Hill's GRU Gruner Veltliner 2016 (97 points) was the top listed wine in the 'Other White Wines and Blends' category - with the Hahndorf Hill White Mischief Gruner Veltliner 2016 (96 points) also featuring highly on this list. In the category 'Rose' the Hahndorf Hill Rosé 2016 (96 points) was also the number one wine listed. Says co-owner Larry Jacobs of Hahndorf Hill: "We are deeply honoured to have been awarded these two top listings by James Halliday, and especially excited given that one of the awarded wines was our classic version of the variety that we have been pioneering - Gruner Veltliner." Our three Austrian varieties were each awarded Gold Medals at the Berliner Wein Trophy 2017 competition in Germany. The wines awarded were the Hahndorf Hill GRU2 Gruner Veltliner 2015, the Hahndorf Hill Blueblood Blaufrankisch 2015 and the Hahndorf Hill Zsa Zsa Zweigelt Nouveau 2016. Our Shiraz 2015 also received a Gold at the same competition. At the Adelaide Hills Wine Show 2016 we were delighted and honoured to receive the trophy for being the Best Producer in Show (<100 tonnes). In addition, our 2016 White Mischief Gruner Veltliner was awarded Trophy and Gold Medal in the Gruner Veltliner Category. The Adelaide Hills Wine Show is the first regional wine show to feature a dedicated Gruner Veltliner category and it is a huge privilege to take out the trophy with this cutting edge new variety. The prestigious Six Nations Wine Challenge is a Sydney-based wine show that uses an international judging panel to compare the very best wines from six countries (Australia, New Zealand, South Africa, Chile, Canada and the US). The Hahndorf Hill GRU Gruner Veltliner 2015 was selected to represent Australia in the category 'Aromatic Wines (not Riesling)', where it was awarded a Double Gold medal and came second in class. "This is a great affirmation for this variety to have been so highly awarded in this blind tasting, in a category that included so many diverse varieties," said Larry Jacobs. "For me it cements in my mind the enormous potential that Gruner Veltliner has in the Adelaide Hills wine region." The other HHW wine that has recently been awarded is the new vintage 2016 Rosé which won the Trophy and a Gold Medal for Best Rosé at the Winewise Small Vigneron Awards 2016. In rapid succession, HHW was recently awarded a clutch of three Trophies - Trophy (Shiraz of Show) at the Australian Cool Climate Wine Show 2015 for the HHW Shiraz 2013; Trophy - Australian & New Zealand Boutique Wine Show 2016 for the HHW Rose 2105; and Trophy - KPMG Sydney Royal Wine Show 2016 for the HHW Pinot Grigio 2015. Including other recent awards, this brings to six the total number of Trophies received for our wines over the past 12 months. The 2015 HHW Rosé has just been awarded Trophy + Gold Medal at the Adelaide Hills Wine Show 2015. This is the second year in a row for this wine to receive this award as it received the Trophy at the same wine show in 2014. "I am delighted," said Co-owner Marc Dobson, "because the Rosé category is really evolving in the market place, and the Adelaide Hills Wine Region is now one of the top Rosé suppliers for on-premise Rosé sales right across Australia." 'Australian Wine Vintages', which is Australia's longest running wine guide and authored by Rob Geddes MW, has honoured the Hahndorf Hill GRU Gruner Veltliner 2014 by including it on their list of the 'Top 100 Australian wines for 2016.' Wines are selected for this list because of their outstanding synthesis of variety, region and style. In addition to this, the GRU Gruner Veltliner 2015 has just been awarded a Gold Medal at the Royal Adelaide Wine Show 2015. ... with both the White Mischief Gruner Veltliner and the Sauvignon Blanc being awarded trophies in their classes. We're delighted to report that three of our wines have been awarded international Gold Medals at the Berliner Wein Trophy 2015 awards in Germany. The winning wines were the HHW GRU Gruner Veltliner 2013, The HHW Blueblood Blaufrankisch 2013 and the HHW Single Vineyard Shiraz 2013. Two Gold medals and a Silver were awarded to our Austrian varieties at the Australian Alternative Varieties Wine Show 2014. Both the HHW GRU Gruner Veltliner 2014 and the HHW Blueblood Blaufrankisch 2013 received Gold, while the HHW White Mischief Gruner Veltliner was awarded a Silver medal. Meanwhile, the HHW Rosé 2014 was awarded a prestigious Top 100 / Blue Gold medal at the Sydney International Wine Competition, 2015 and was also awarded the Trophy / Gold Medal at the Adelaide Hills Wine Show 2014. 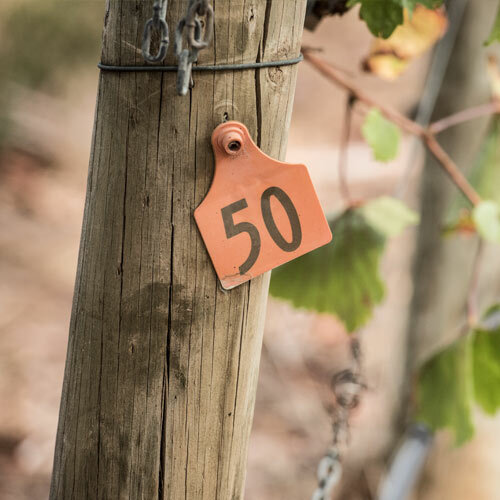 Last month, no less than four Hahndorf Hill wines were selected for the prestigious Adelaide Review's Hot 100 SA Wines awards. The wines were the GRU Gruner Veltliner 2014, Sauvignon Blanc 2014, Pinot Grigio 2014 and the Single Vineyard Shiraz 2012. Both the HHW GRU Gruner Veltliner 2014 and the HHW Single Vineyard Shiraz 2012 have been awarded Gold Medals at the prestigious Winewise Small Vignerons Awards 2014. It is particularly gratifying since the Gruner Veltliner has proven it can stand out from the crowd in a generic class of 'alternative' white wines, and it is always good for a cool-climate Shiraz to be highly rewarded in a national competition. Great news from Berlin is that HHW has been awarded medals for two of our vintage 2013 Gruner Veltliners. The 2013 GRU Gruner Veltliner received a Silver medal and the yet-to-be released 2013 GRU 2 was awarded a Gold Medal at the Berliner Wein Trophy 2014. This is extremely gratifying since this is further evidence that the Adelaide Hills has the right conditions of terroir to produce top-notch Gruners! 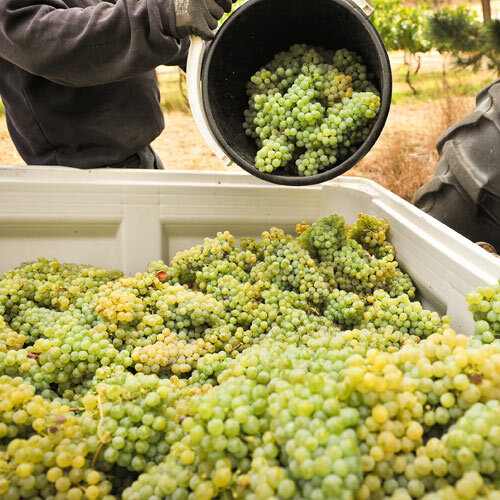 Campbell Mattinson, writing in the June 2014 edition of the James Halliday Wine Companion Magazine, has urged his readers to experience all 20 wines on his Bucket List of white wines which he describes as being 'icons of Australian white wine and icons in the making'. Selected wines include Leeuwin Estate Art Series Chardonnay, Penfolds Reserve Bin A Chardonnay, Yalumba Virgilius Viognier, Giaconda Chardonnay, Tyrrell's Vat 1 Semillon - and Hahndorf Hill GRU Gruner Veltliner. The Hahndorf Hill Gruner Veltliner '... has staked a claim as one of the most interesting whites on the Australian landscape,' he wrote. Our GRU Gruner Veltliner 2012 has been honoured by being selected by Wine Australia for presentation at the Landmark Australia tastings which are being held in Adelaide during 'Savour Australia 2013' from 15 September - 18 September 2013. The Landmark Australia tastings will showcase wines that exemplify 'Australia's ultimate wine offering.' These tastings will be hosted by some of Australia's wine industry luminaries including wine educator and Savour Australia 2013 MC, Jeremy Oliver; wine critic, James Halliday; sommelier, Kim Bickley; wine writer, Tyson Stelzer; and wine writer/wine judge, Mike Bennie. The Landmark Australia concept is designed to show the wine world the rich diversity, history and quality of Australian wine. The focus is on the best examples of current styles and brilliant historic perspectives. These Landmark Australia Tastings reflect Australia's fine wine dimension - the ultra-premium collectables that are known and respected around the world. At a recent tasting of international Gruners in Austria, organised by the prestigious magazine Falstaff, the HHW GRU Gruner Veltliner 2012 came out tops! According to Falstaff magazine, the HHW GRU is ' ... one of the best that the New World has to offer.' The tasting comprised gruners from Europe (other than Austria) plus all New World offerings from Australia, New Zealand and the USA. The tasting notes were as follows: Bright green yellow. With delicate meadow herbs, baked fresh apple fruit, a touch of citrus zest, dark mineral, hints of tobacco, very typical bouquet. Closely complex, fine green apple fruit, firm texture, finessed structure, is lively and animating, a hint of lime in the aftertaste - long and minerally. This is probably the first Zweigelt wine to be made in Australia! Zweigelt is a true native of Austria that was originally created in 1922 by Dr Fritz Zweigelt by crossing two other famous Austrian varieties, Blaufrankisch and St Laurent. At Hahndorf Hill we have used this beautiful grape to make a dry, textured rosé that has been wild-fermented in old French oak barriques. Already it has developed a following and has been awarded 93 points by Mike Bennie, WBM and 91 points by Nick Stock, Good Wine Guide. The Sydney International Wine Show is unique amongst wine competitions as the winning wines are judged with food. We are extremely proud to announce that the HHW GRU Gruner Veltliner 2012 has won a Blue-Gold Medal at this prestigious wine show. The wine has also been awarded a Silver Medal at the Alternative Varieties Wine Show 2012. We're delighted to announce that the HHW Blueblood Blaufrankisch 2010 and GRU Gruner Veltliner 2011 have both received international praise. The Blaufrankisch was awarded a Gold medal and the Gruner a Seal at the prestigious 2012 Vienna International Wine Challenge - the world's largest wine competition. This is the second time that our Blaufrankisch has clinched Gold at the Vienna International, and it follows on the success of the 2010 vintage being ranked the top 'Alternative Red Variety' wine in Australia with 95 points in the 2013 James Halliday Australian Wine Companion.